A doctor has claimed he was sacked for being a whistle-blower after finding 100,000 unprocessed X-rays "hidden" in a hospital cupboard. Dr Otto Chan lost his radiology job at the Royal London Hospital in 2006. He told an employment tribunal the hidden X-rays would mean cancelled operations and missed appointments for people whose scans could not be found. 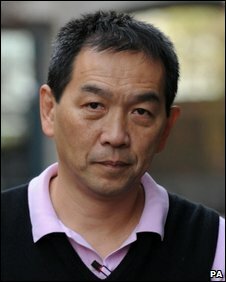 Barts and the London NHS Trust claims Dr Chan, 52, was a "troublemaker" who had "undermined" management. Their lawyer, Angus Moon QC, told the hearing Dr Chan had clashed with several senior colleagues at the hospital in Whitechapel, east London, before his sacking. But Dr Chan said: "I would accept I persisted and continued to persist in issues which are important and relate to patient care. "The problem becomes that if you persist in problems that relate to patient care you are going to be labelled a troublemaker and there will then be occasions where you step out of line." Dr Chan said the 100,000 X-rays should have been examined to search for signs of illness or infection. Dr Chan said: "The position was that Barts and the London had hidden these films in a cupboard and they were totally inaccessible to any clinician or any clerk." The doctor also told the tribunal he had repeatedly raised issues about training and the use of junior staff in the department. He said: "The junior staff in our department were doing too much unsupervised work. "The department was going rapidly backwards. I had real concerns about patient care in relation to the training programme." He explained that, rather than being shown a procedure, junior doctors were given notes before "being told to go and practise it on a patient." Dr Chan added: "The juniors were being exposed to procedures that they were clearly not trained to do." The tribunal was adjourned until Thursday.